What you eat can have a profound impact on how you function throughout the day. Much like a car engine, if you put in high-performance fuel you get better results. In the same way, what you eat and drink at work affects how you work and engage with your colleagues. Of course, this is not news and you don’t have to be an athlete to know that if you do not fuel the body well, you will not be able to stay the race. But what is new is developing a long-term approach to how and what we eat, based on informed choices about our food and the impact it has on our health and well-being. In the first week of January this year bartlett mitchell kicked off 2016 with its high-energy 10 week course about food and its impact on the body. DARE or Delicious And Responsible Eating is for customers who look to their caterer to do more than merely fuel them. Today’s discerning customer wants to get all the benefits of nutrition without popping a pill. is 12 years old and each year it gets younger, fitter and leaner than the last. It started with simple “did you know?” signs. I loved these as they gave a further avenue to demonstrate to customers that we were about so much more than cooking. Information such as “Did you know that gram for gram, peppers contain 4 times as much vitamin C than an orange” and “80% of the earth is covered in water, drink some!” Today’s DARE still has all those first elements but has developed into so much more. 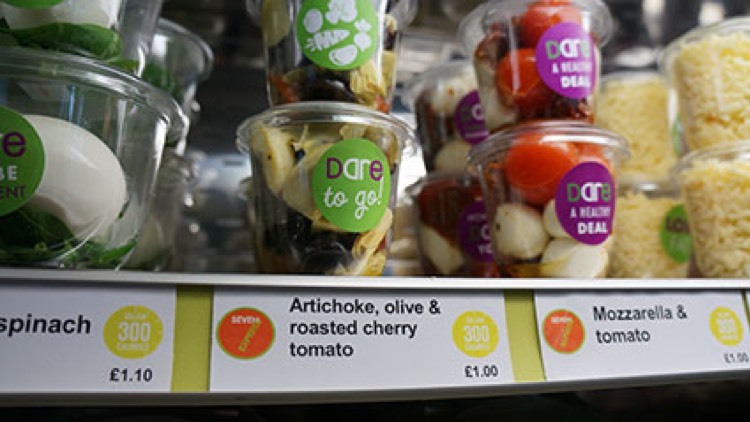 Over the last week I’ve visited lots of different bartlett mitchell restaurants and their approach to DARE is more akin to a food festival than a regime. This year’s 10 week kick-start includes a stack of recipes, all of which are linked to the myfitnesspal app which has the calorific and nutritional content of the dishes and allows you to set goals. In recent years the legislation about declaring allergens and nutritional content has become more robust than ever. Through our ‘behind the scenes’ software package, our customers can enjoy not only delicious but genuinely responsible eating. By knowing the nutritional content of everything they eat, customers can simply make informed choices.